Our new API based release cycle that makes accessing and utilizing the latest Sabre functionality and updates quicker and simpler than before. Self-contained Software Developer Kits (SDKs), accessed through a common point of entry for all applications make it easier for your technology teams to adopt Sabre APIs. Leverage the API Hub's seamless access to our end-to-end retailing capabilities and enable innovative and differentiated customer experiences. Our new API Hub will host new Software Developer Kit Libraries relevant to your Sabre applications. 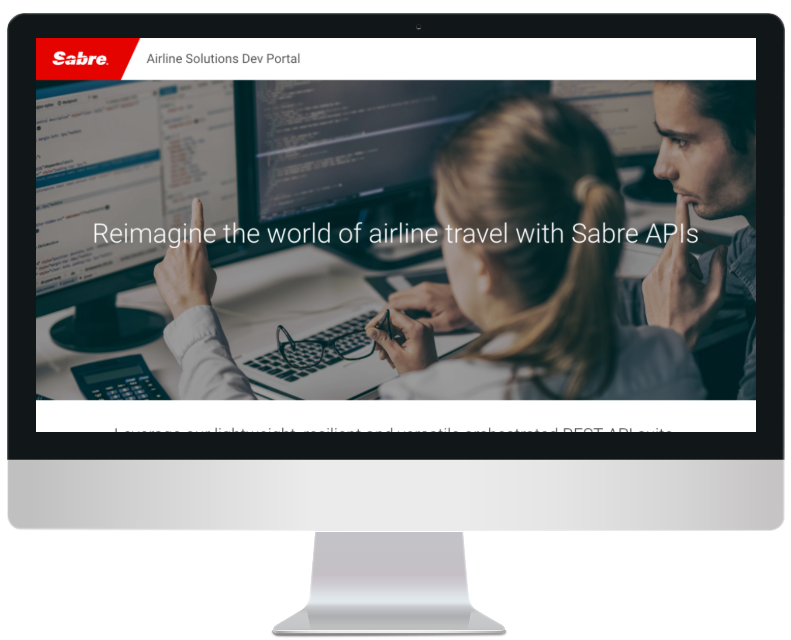 It enables your airline to quickly access, deploy and leverage the latest Sabre functionality upgrades while helping improve efficiency and the pace of innovation in your technology organization.